We have a team of qualified service technicians standing by to help you with any of your service related needs. From oil changes, tire rotations, brake pads or transmission problems, we’ve got trained technicians who are able to help. Please use the buttons below to schedule service at Prestige Imports Porsche or contact our Service Department. You can also call us at 877-622-9542. Conveniently located at 9201 West Colfax Avenue, Lakewood, CO, 80215 our service technicians are ready to work for you. 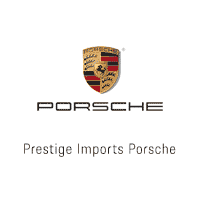 Why is the Prestige Imports Porsche Call Center Unique? Respond to you promptly via your preferred method of contact. Confirm your appointment date and time. Stay in touch and let you know the status of your order. Be sure to ask your customer service agent about our Valet Service!